The Tata Tigor Electric will go on sale in three variants along with the top-end XZ trim. The electric motor in the Tigor EV is going to produce 40 BHP of power. The Tata Tigor Electric, when it goes on sale in India, will retail in a total of four variants. 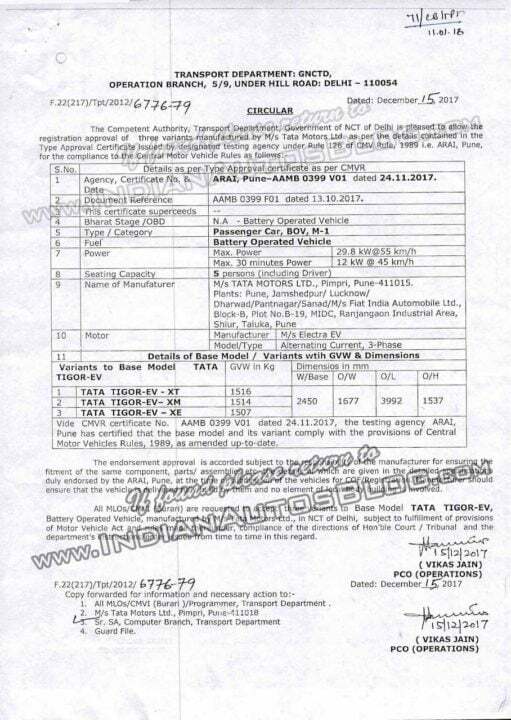 This information is recently revealed thanks to a certification document which was leaked online curtsey Indianautosblog. The document states that the Tigor Electric will retail in three variants, namely the XT, XM and XE. At the 2018 Auto Expo, we saw the Tigor EV in its range-topping XZ trim. Either, Tata Motors is going to launch the Tigor EV in four trims. Or the XZ trim was just a display model and the car is going to launch only in three trims, as stated in the certification document. So far, no concrete information is out regarding the prices of the Tigor EV. That said, we believe that it is likely to retail at an affordable price. Expect the base XE trim to cost somewhere around INR 6 Lakh with the top-end trim retain close to INT 10 Lakh. 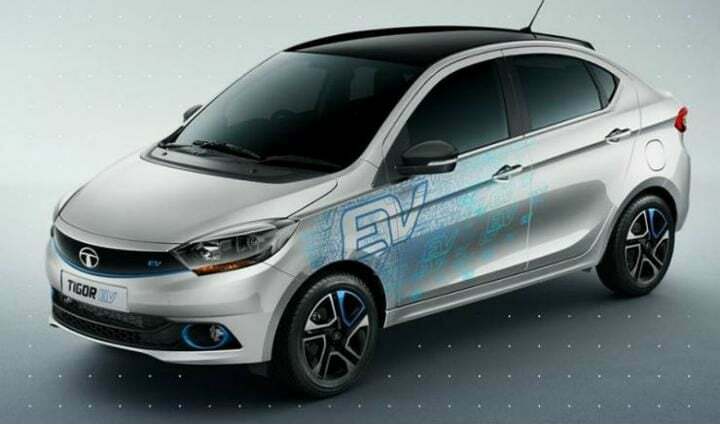 Tata Motors has already commenced the production of the Tigor EV. However, these models are for the Government which will be procured under the new Electric Mobility Scheme. For the public, it is likely that Tata will launch this vehicle in the last quarter of 2018. Considering that the Tigor Electric will go on sale in XE, XM, XT and XZ trim, it will come with the following features. The electric motor on the Tigor will produce 29.8 KW of power at 55 km/h. This translates to 40 BHP. Talking about the range, we expect it to be in between 100 to 120 km. Though not very huge, it is still adequate for urban usage. The Tigor Ev is going to measure 3992 mm in length, 1677 mm in width and 1537 mm in height. The electric vehicle will sport a wheelbase of 2450 mm. These dimensions are identical to the petrol-powered Tigor.